Are you looking for outdoor decorating ideas? Are you tired of trying to figure out which colors to use? Perhaps Pantone can help. The Pantone color of the year is Ultra Violet. If you are a fan of Prince or you just like The Color Purple (see what we did there? ), this tone will help you create the outdoor space you will love. 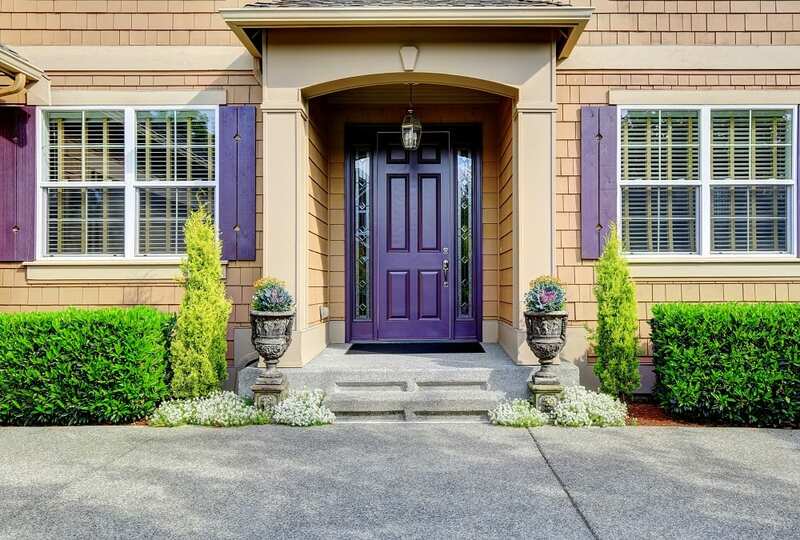 This post will give you some fabulous ideas on how to use Ultra Violet to decorate the area outside your home. Best of all, each of these ideas is easy to implement. First of all, we will explain what Pantone is, and why they chose Ultra Violet as the color of 2018. Pantone is a company headquartered in New Jersey. With their Pantone Matching System, they help designers match colors. Their system is typically used in manufacturing paint, plastic, fabric, and other items. One unique way to decorate your yard or deck is to use amethyst geodes. They come in multiple shades of purple, and they look great on patios and in gardens. Some of these stones might even make a good centerpiece on your outside table. Ultra Violet is a great color to use for your outdoor furniture. You might want to consider picking up some cushions for your sofa and chairs. This a great idea if you’re not quite sure whether or not you want to use the color. Cushions provide a great atmosphere while not dominating the entire space. Are you looking to make a change to your deck? If so, you might consider painting the wood. Ultra Violet paint could greatly enhance your outside sitting area. If you don’t want to go crazy and paint the entire area, you could use the color to accent your fence or a wall. You might even be able to use it on your furniture. Using linens to decorate your outside area is an easy way to transform its look. Ultra Violet tablecloths and curtains can add more panache to your patio area. If you want to go more subtle, you can invest in napkins and other smaller decorations that have the color. Plants are another way you can incorporate Ultra Violet into your outside area. You can place them on your patio, in your garden, or both. Plants with purple leaves can make a marvelous addition to your yard. Consider placing orchids, irises, roses, or lavender in your yard. Make sure you don’t forget the small stuff. Certain items can provide more nuance to your decorating. Ultra Violet candles, umbrellas, wind chimes, and lanterns are examples of small touches that can make all the difference. These are those often-overlooked items that will give your outdoor area the “pop” it needs. One of the most important factors in outdoor decorating is color. You need to make sure your colors are creating the type of environment for your outside areas. After all, what’s the use in having a patio if it doesn’t look nice? Pantone’s color of the year can make it easier to build the outdoor living area you have always wanted. You will be able to have a patio or deck that impresses your visitors and provides a relaxing atmosphere for your family.